Shonneia Marie Adams, affectionately known as “Coach Adams,” is a native of Los Angeles, California. She has been walking in her purpose since 1998. 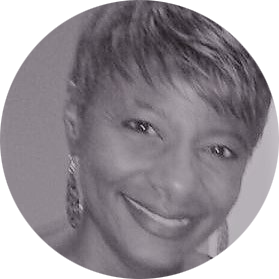 Coach Adams specializes in taking her clients on customized journeys of purpose and destiny. Coach Adams’ personal and professional coaching services provide clients with tools to add to their backpack for their journey – enabling them to take their lives to the next level. Coach Adams is a Coach University, Coach Training Participant (CTP) and the Minister of Training/Master Trainer for BOSS The Movement/BOSS Global Inc. (Building On Spiritual Substance), teaching youth ages 7-18 the relevance of Gods word in meeting one’s need for success through The BOSS The Movement curriculum. Coach Adams is a licensed minister for The Family of Faith, Faithful Central Bible Church, under the leadership of Bishop Kenneth C. Ulmer. Coach Adams is a group leader/facilitator of Women’s Discipleship groups on The Purpose Driven Life by Rick Warren and Stages of Faith by Pastor Don Willett. Coach Adams is a Radio Personality, Creator and Empowerment Coach of Heaven’s Rain. Heaven’s Rain, a weekly featured program on The ICN.com / The International Christian Network. Coach Adams combines professional coaching skills and spiritual principles designed to motivate, inspire and empower the listeners to step out and take action in the direction of their God ordained destiny. Heaven’s Rain is the key to unlocking the door to one’s destiny and releasing God’s rain! Coach Adams believes that each of us has an assignment to fulfill on this planet, which is revealed to us when we are flowing in our “Authentic Self,” which houses our true passions. It is within these passions that one’s true-life purpose is discovered. Utilizing her coaching expertise, Coach Adams enables her clients to flow smoothly through the process of uncovering their “Authentic Self,” thereby discovering their true purpose in life. According to Coach Adams, “life is a marvelous game.” When we are victorious, we enjoy the game of life to its fullest. When Coach Adams coaches, her clients win! Coach Adams’ clients are busy achieving their goals, fueling their passions, and ultimately winning the game of life! Coach Adams offers uplifting and rejuvenating motivational seminars and workshops designed to provide you with valuable tools for your backpack on the journey of life. Discovering your “Authentic Self” will enable you to unlock your personal and professional power. As a former quarterly consultant and contributing writer of the Save the Date Magazine which is a Master Minority Calendar Magazine for the greater Los Angeles area, Coach Adams utilizes her learned experience to disseminate valuable information that one could use to successfully obtain their goals. Coach Adams has also contributed to New Dimension Publication and the Urban Business Journal. Coach Adams’ credits also include being a major contributor of The Radio Boardroom, a talk radio program featured on KTYM 1690. Coach Adams’ weekly featured segment entitled, “A Motivational Minute with Coach Adams”, was a favorite of many of the listeners, which inspired, motivated, provoked, challenged and empowered.